A versatile, mid-weight Cycling jersey to keep you warm in Spring and Autumn. 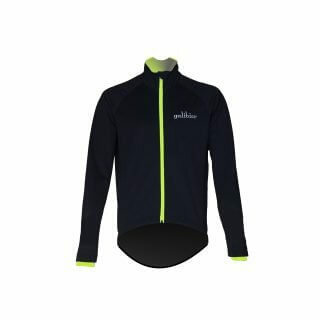 This jersey is constructed from a warm and comfortable Roubaix fleece fabric. 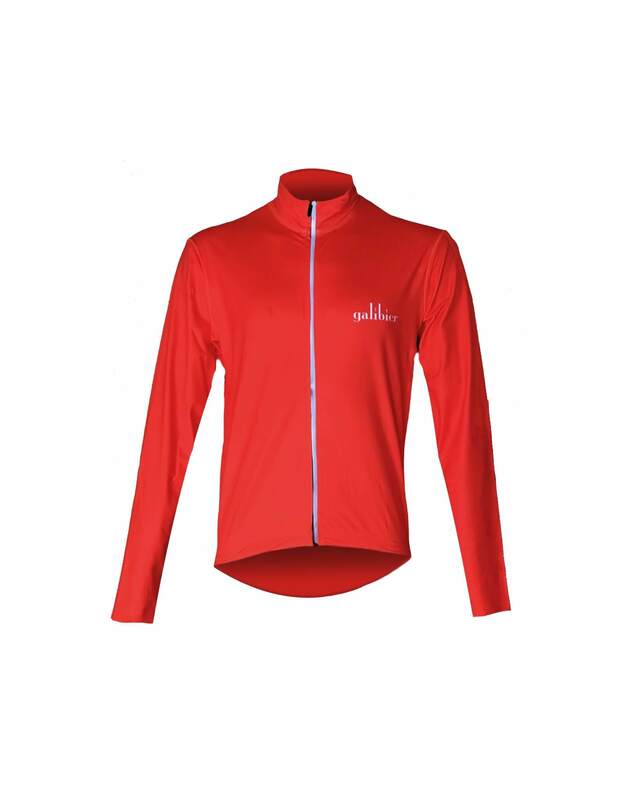 This long sleeve jersey is a versatile performer that can be layered up to suit a variety of riding conditions to keep you warm when you ride. 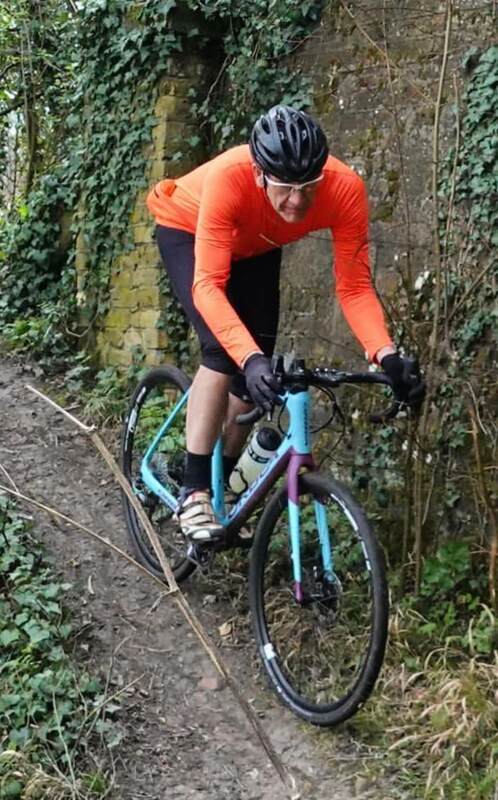 In the depths of winter, you can wear this Roubaix Long Sleeve Jersey with an additional layer for full protection, while the Roubaix fabric offers great thermal performance suitable for autumn and spring conditions. This fabric traps warm air close to the skin, creating its own micro-climate around you and keeping the chill away. 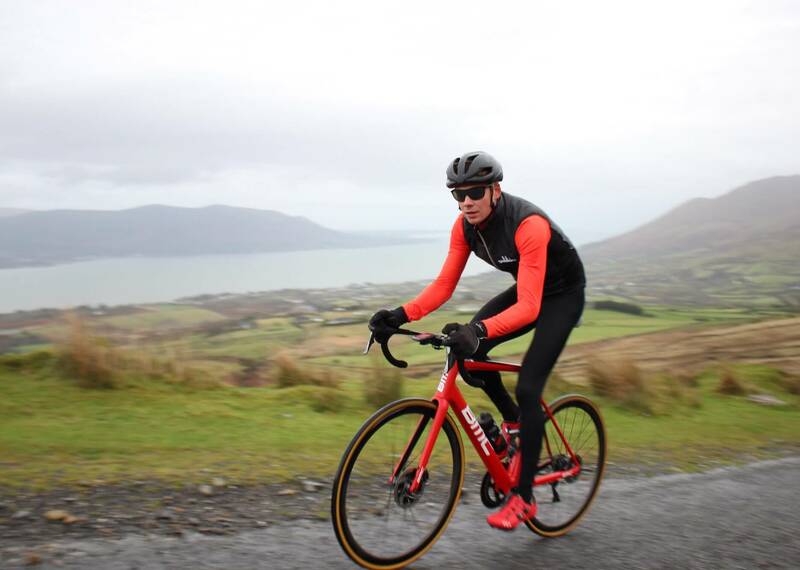 In changeable weather, the full-length zip allows you to ventilate fresh air and keep you cool if the sun comes out mid-ride to warm things up. 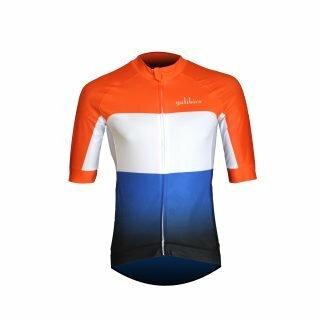 You can wear this long sleeve jersey on its own, or for chilly conditions you can use it along with a base layer, gilet, or jacket without over-heating. Three, small rear pockets that enable you to carry your ride essentials and there’s a zipped pocket for your valuables. It’s finished off in plain, Very Orange, or Black which gives the jersey a modern yet timeless appeal. Reflective highlight and print on the rear pockets. Odour resistant, excellent perspiration wicking and thermoregulation. Used this for first time today with thin base layer on crisp February day.Very good heat retention ,without sweating,and great fit with very comfy soft fabric.Usual useful pockets including zipped one. Went for large as I am just under a 40 inch chest and have long arms and perfect fit. Could be used in a large variety of conditions by layering up or down and likely on it’s own later in the year. 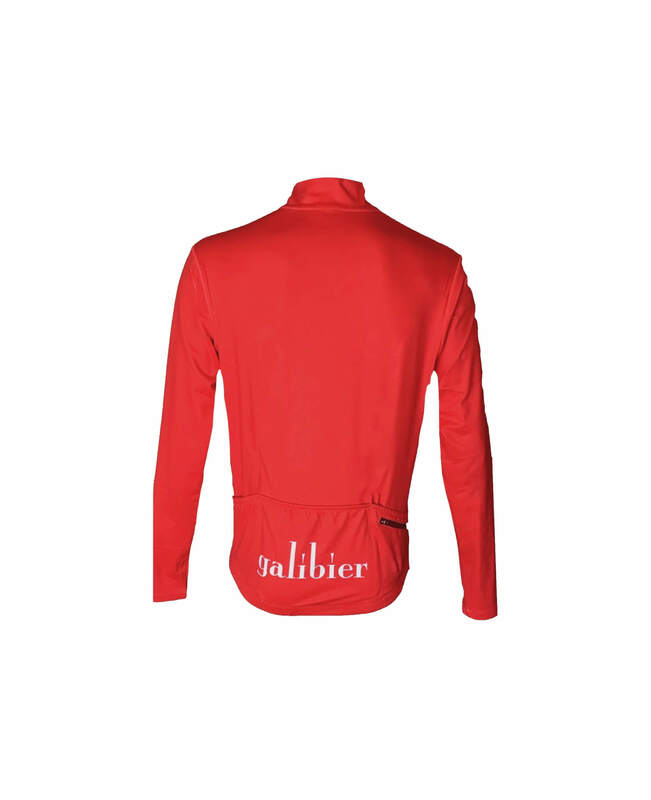 Another great garment from Galibier ! Wore today with a long sleeved base layer and was perfect for our winter. Comfort is exceptional and material is so soft. The feel is great. The length of the sleeves and the height of the collar make it a great garment. Ideal garment to layer and the colour is so………orange. As usual for Galibier this is a top quality item. It is perfect for colder rides where a jacket is too warm and a normal jersey not warm enough. It is a super soft fabric that’s really comfortable to wear and I have been surprised how much use that it’s had (as I didn’t know I needed one before the purchase). As always it was delivered very quickly. 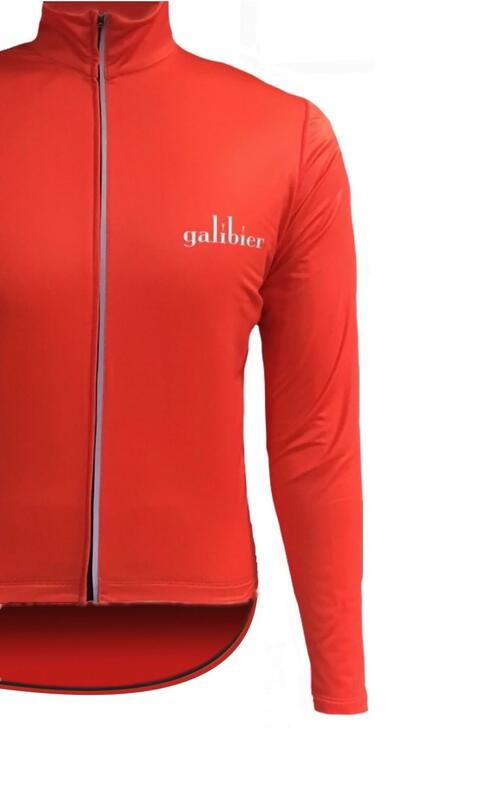 ….Yet another Galibier product that I’d heartily recommend.